A number of articles have come out recently about the role and future of philosophy, contributing to a growing sense of dismay about that discipline that demands a reply. A recent essay by Mark English in Scientia Salon  crystallized the issue, and so it represents a good reference point for a reply. Reading English felt like watching a profession fall on its collective sword. Why should they do that? Then again, critics of philosophy are all prominent people in their fields and I am not a professional philosopher, so why should my opinion count in this debate? Perhaps that is precisely why it should count, because people like me are the real target of philosophy and its critics. This, then, will be the theme of my reply. First, some background. I am a foundry metallurgist who was retreaded as a quality engineer, then a software engineer, and was finally subsumed into corporate management. I am a naive philosopher with a limited grasp of the ideas and a tentative use of the terminology. But I think I am also intensely practical, with a keen appreciation of the power of ideas to motivate and guide behavior (blame my management background). It is precisely this intrinsic power of ideas that makes philosophy so important: if philosophy cannot be made relevant to a person like myself, then it has no relevance I can think of. 1) The scientistic world view: The authority of the Tangible. This sees the world as a vast assemblage of particles driven inexorably by the laws of nature. There is no inherent purpose and meaning. Science discovers how this process unfolds and this is the only truly valuable activity since it deals with the only truths. Alex Rosenberg expressed this point of view very clearly . Morality, purpose, meaning and freedom are just incidental and most likely illusions of the mind. This world view rests on the authority of the Tangible. 2) The humanist world view: The authority of Ideas. We are the fortunate inhabitants of a stage that is by chance just right for us. We are privileged participants in the drama of the universe and have a special responsibility to each other and to the world we inhabit. We have no future but we should care for what we have while we have it, which includes caring for each other. We have created a rich culture, driven by a world of ideas and this culture gives us our purpose and value. We are custodians of and must cherish this world and culture for our successors. This world view rests on the authority of Ideas. 3) The religious world view: The authority of the Absolute. This shares aspects of the humanist world view but argues for a real purpose and meaning to life that transcends our existence. It places more onerous demands on our standards of behavior. This world view rests on the authority of the Absolute. The key features of this struggle between competing world views are the demands they place on our behavior and the nature of their appeal to authority. The religious view makes onerous demands and appeals to the Absolute for its authority. The humanist view makes lesser demands and appeals to the world of ideas for its authority. The scientistic view makes few demands and appeals to the tangible, the demonstrable, for its authority. This struggle takes place because we are discovering a new world of abundance and freedom. The authority of ideas seems to be losing its hold on our imagination and being replaced by the authority of the tangible. Science is tangible and successful, which gives the scientistic world view great credibility. Humanist and religious world views, by contrast deal with intangible problems that resist easy solution, so have lower credibility. In the last two hundred years the authority of the Absolute has been replaced by the authority of ideas, which in turn is now being replaced by the authority of the tangible. With this background in view, I will attempt to: 1) summarize Mark English’s main thesis; 2) reply to his core points; 3) outline what I think is the real problem; and 4) propose a solution for the problems facing philosophy. I want to immediately note that (4) is in fact an admission that (from this naive philosopher’s point of view) philosophy does have a serious problem. a) Philosophers cannot claim expertise. b) Philosophy is a broad and ill-defined discipline and there is no agreement concerning what it is about. c) It has no centre or core sub-disciplines. d) It is losing authority and status. e) The religious origins of philosophy are important. g) The unity and independence of philosophy are not sustainable, and the only possible future for the discipline is by means of closer ties to science. i) Students are disillusioned with philosophy. j) Meta-questions about disciplines are best addressed by the individual disciplines themselves. k) There are questionable motivations for defending philosophy. I want to start by acknowledging that there is a problem, but I think it is not what Mark English thinks it is. I will cover these points briefly because Aravis Tarkheena has already done a good job at answering them on the ensuing discussion thread . The claim that philosophers lack expertise is rather like claiming that scientists lack expertise. No scientist has expertise in the full range of science, and in the same way no philosopher has expertise in the full range of philosophy. That philosophy is broad and ill defined, a loose amalgam, is true, but does not constitute a serious criticism. It is the consequence of growing specialization in the academy, and we see it in all the main academic disciplines, including the sciences. The idea that philosophy has no center is in fact not true. Its center is ethics, both theoretical and practical . One may disagree with my assessment, but I find it interesting that English says so little about ethics at all. Still, a naive philosopher or onlooker, such as myself, may be inclined to concede the apparent truth of these criticisms because philosophy does not come in a neatly wrapped package with a label explaining its contents. Other disciplines do have clearer packaging that makes them more readily apprehensible. English also claims that philosophy is losing authority and status. The loss of authority is part of the general trend towards scientism. This is accentuated by the sustained scientistic attack itself, part of the clash among world views with which we are preoccupied. I think the attack is motivated by a decided hubris, which results in a clear display of tribal behavior. I think of this as a form of empirical imperialism. As for the religious origins of philosophy, they are just beside the point, as all disciplines are built on the ruins of the past. Raising the point feels like an attempt to smear philosophy on the assumption that most readers would be unhappy with its association with religion. It is true that a small number of philosophers are claiming the role of “enfant terrible,” playing avant garde critic. But in reality they are merely within the norm, conforming to the general trend in society of accepting the authority of the tangible. English tries to make his point stronger by drawing attention to examples of bad writing in philosophy and one must reply, so what. All disciplines contain examples of bad writing and a lovely example of that is Krauss’ infamous book, A Universe From Nothing, and an even worse example is Dawkins’ The God Delusion. 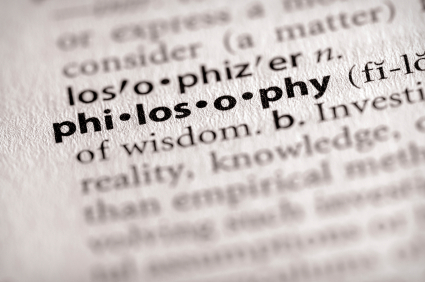 English claims that students are disillusioned with philosophy. Aravis Tarkheena disposed of that point in a powerful fashion when he mentions the demand for courses in bio-ethics . As for the idea that it is “not possible nowadays to articulate a broad and ambitious vision of philosophy which will be persuasive to a wider audience” I admit that this is indeed a serious problem. But I do not agree that such vision cannot be articulated, and in the last section I will outline how I think it can be done. The assertion that meta-questions about disciplines are best addressed by the disciplines themselves is a questionable one. That is precisely because practitioners of such disciplines lack the philosophical training and background necessary to carry out that kind of analysis, and most importantly they lack the detachment and objectivity that is provided by an outside view of things. We then get to the main thrust of English’s argument: he is arguing that philosophy should be more closely allied with science and that some parts of it should be abandoned: “the only real hope for the discipline [is] lying in the direction of collaboration with the various sciences.” I think this is profoundly wrong and my reasons for this stance will become apparent in the last section. Finally, english questions the motivations for defending philosophy, claiming that political, moral and ideological commitments are at play. I’m not sure how he reaches that conclusion, or why it wouldn’t apply just as well to the other side of the debate. But seriously, can we just assume for the time being that people have sincere and legitimate interests in defending their chosen fields of inquiry? Mark English’s criticisms in their entirety point to what I think is a real problem, at the least as it looks to me while looking from the outside. The word “philosophy” does not convey much meaning to the ordinary person anymore. It has become something ephemeral, pie in the sky, somehow unrelated to the real life people lead. When the outsider looks in, he sees this vast array of disparate fields and he simply cannot make sense of it all. To make it worse, he cannot relate the terminology to anything in his experience. He can’t see a core to philosophy so he cannot see any purpose in it at all. To the outsider this looks like navel gazing taken to its extreme. This problem is accentuated by the contrast with the great successes of science. Science then becomes the standard by which other endeavors are judged and it therefore may look like philosophy fares very poorly indeed. But this is a false comparison, as I will outline below. Finally, the problem is exacerbated by a good dose of scientistic hubris as the scientistic world view aggressively expands its influence. The problem underlying it all is, I think, the trend from the authority of the Absolute, to the authority of Ideas to the authority of the Tangible with which I began this essay. Scientism reflects the authority of the Tangible and philosophy asserts the authority of Ideas. Mark English and others wish to embrace this trend toward the authority of the Tangible, but I think this is a mistake. We are volitional agents, we act, we behave. Science explains behavior, but ideas shape behavior and this means that ideas will always be paramount. Philosophy will thus remains relevant and important because it is the custodian and interpreter of the ideas that shape behavior. This naive philosopher in me thinks that the philosophical community has been aiding and abetting its enemies by failing to provide a clear and compelling vision that is readily understandable to the rest of the world. Such a vision is necessarily a simplification that glosses over many things, it is superficial because it needs to be. It is the wrapping paper on the box that contains the many components of philosophy. I am asking you to consider this because I think it is the outsider’s view that will determine the fate of philosophy. If philosophy cannot give a compelling account of itself to outsiders it will go into substantial decline and will keep yielding ground to the scientistic world view, a view that is simple and immediately appealing. Let’s start with a distinction between science as a guide to the objective world and philosophy as a guide to how we respond to and think about the objective world. Science deals with the facts and philosophy deals with how we think about the facts. As Massimo Pigliucci would likely put it, science investigates the empirical space and philosophy investigates the conceptual space . The conceptual space overlays the empirical space (as well as extending beyond it), and philosophy supplies the interpretative layer between the conceptual and empirical spaces. Science and philosophy have thus two different but complementary roles. However, this is all rather abstruse and likely conveys little to the man in the street. Why should that matter? Well, I am a man in the street and it matters to me. It matters because I live in a world making competing claims on my beliefs, time, behavior, and allegiances. I must make choices and I am continually confronted by questions like, what is true? How should I behave? What is valuable? I need to be equipped with a set of tools to navigate these choices. Philosophy is that tool. 1) What can we believe? 2) How should we behave? The world is afflicted by moral problems. Everyone of us has been impacted by the poor moral choices of others and in all likelihood we have made poor moral choices that have injured others. At the heart of philosophy, its very core, is ethical thinking. Philosophy is the custodian of ethics and is the thinking man’s guide to moral behavior. 3) What do we value? Just as ethics permeates our lives so do ideas of value. We make value judgements all the time about things, people and events. Such important aspects of our lives need guidance, and philosophical thinking provides this guidance. The idea of value is so important because our species is prepared to go to great lengths to defend the things it values or to acquire them. Clearer thinking about values would go a long way towards mediating our conflicts. In summary then, I believe that philosophy can make a case for itself by persuasively presenting the view that it answers the three basic questions above. This can be thought of as the wrapping paper on the box that contains the many parts of philosophy, if you will. It is what the outside world will see and that immediately conveys clear meaning that is relevant to our lives. It reinforces the idea that science and philosophy serve different needs. Professional philosophers will claim that this way of looking at things is superficial and incomplete. That is true, but it simply must be so. People inclined toward scientism see the only real hope for philosophy as lying in the direction of collaboration with the various sciences. That is because they fail to value philosophy’s vital role as an interpretive layer between the empirical world and the conceptual world, one that fashions belief, behavior, and value. This is a role that lies outside the scope of science and one that science simply cannot provide. Peter O. Smith is a foundry metallurgist, quality engineer, software engineer, and corporate manager (recently retired), who lives by the motto fides quaerens intellectum. Mark English, Philosophy, science and expertise, Scientia Salon, 4 September 2014. Matt Warman, Stephen Hawking tells Google ‘philosophy is dead’, The Telegraph, 17 May 2011. Alex Rosenberg, The Disenchanted Naturalist’s Guide to Reality, On the Human, 2009. Aravis Tarkheena, reply to Mark English. Massimo Pigliucci, My Philosophy So Far — part I, Scientia Salon, 19 May 2014. I certainly agree with this. A lot of important “thinking” that goes on in science is not what I would call philosophy or philosophical. What I am trying to get at is that some levels of theorizing start to blur and sometimes cross the line of standard scientific “thinking” into philosophical inquiry. This usually happens when scientists are 1) trying to deal with data from multiple lines of evidence from different fields to create some unifying or “synthetic” theory, 2) trying to deal with data which appears so entirely inconsistent with current theory a new model is required, and 3) there is so little information (usually at a frontier) or so many equally plausible theories that models require extra critical scrutiny. None of this should be surprising, since that is basically how science emerged from philosophy. Almost all of those conditions were the de facto state of human knowledge on all subjects. Then as solid models appeared in philosophy, founded on improved evidence, less “philosophizing” was needed and more experimenting was (which requires its own kind of thinking). But sometimes these conditions reappear. Well I would largely agree with that statement, observation, and sentiment. Indeed I would encourage philosophy departments to have students take second majors in an applied/experimental field. It gives them something specific to chew on, and boosts the profile of philosophy. But I am still not certain how that argues philosophy has made no contributions (what I was fighting with Schlafly), rather than that certain philosophers have not. And then I’d have to ask if that was the intention of those particular philosophers. That seems contrary to commentary by the people who developed these theories. Also, my point was that the scientists themselves were engaged in philosophical work. Regarding Albert, his degree is in physics, not philosophy, and worked as professor in physics before philosophy. He (and Sean Carroll) have stated that theoretical physics blends with philosophy. That’s a rather provocative statement to make. Be you trolling? I don’t practice this “modern philosophy” of which you speak. Maybe my department wasn’t into it. I consider myself a modern philosopher and clearly am not antithetical to science. Maybe I should ask, what exactly am I doing if it is not modern philosophy? #5 so everyone gets the last word! I think this is a good example whereby we could change our system incorporating professional philosphers in a useful way. Suppose we kept the jury system, but added a professional philosopher role to the usual lineup of prosecution, defense and judge. The defense would be required to represent their client but also to present their version of socratic godflys ‘straw angel’, and the prosecution would represent the state but present a charitable ‘straw angel’ for the defendant as well. Obviously the versions of the main arguments and ‘straw angels’ would differ quite a bit and the independent philosopher would then do his best to unpack the contradictions. Know that their main arguments and ‘straw angels’ would to some extent be laid bare by independent philosopher there would be some motivation by prosecution and defense to not overstate their arguments. In the end the jury still gets to decide but they and the public gain the benefit of better information. I think this would do a lot to inform the public on critical application of philosophy raising public awareness and all the professions involved. There are, I think, differing understandings in play here concerning what philosophy in a broader sense might be and concerning how this broader sense of ‘philosophy’ might relate to academic philosophy as well as to other academic areas (like intellectual history, say). For example, ejwinner talks about “the felt need for philosophy among intellectuals”. He suggests that this requires “a professional academic philosophy” and gives two reasons why. The first reason relates to the importance of a knowledge of intellectual history: “professional philosophers can clarify the reading of texts in the various traditions. (I would rather libertarians read Nietzsche than his crude imitator Rand! ).” He then goes on to argue for the importance of the philosophy of law. Who would argue with that? But, with regard to his first point, it needs to be borne in mind that thinkers such as Nietzsche can be taught in contexts other than philosophy. Someone noted in an earlier comment thread that many experts in the thinkers of the past are based in departments other than philosophy (like French or German or politics or history or European (etc.) studies). Though talking about ‘philosophy’ as providing guidance raises the question of authority (epistemic/normative), this problem could be defused if not resolved by seeing philosophy as being something like a literary genre. And, of course, “articulation into clarity” is something I’m sure we would all agree is a good thing. But reasoning and thinking critically and articulating clearly and making ethical choices are the sorts of things which define our humanity. No single (academic or otherwise) discipline or set of disciplines or genre(s) can encompass them. Not even, I would suggest, what ejwinner refers to as “philosophy per se”.